Complete the grid so that the tens and ones sub-columns contain the numbers one to nine in any order. The exercise is designed to repeat nine of the numbers used. the nine numbers must begin with 1,2,3,4,5,6,7,8,9 respectively. 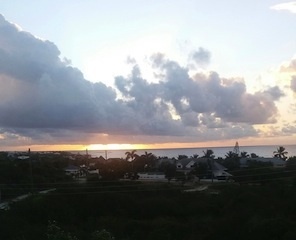 Image: Sunrise in Anguilla- Come and share the experience.